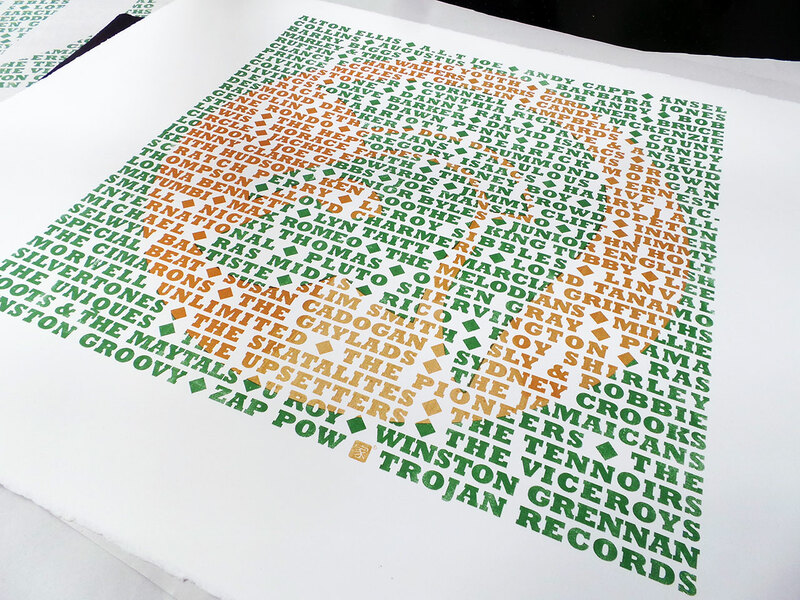 From reggae, ska, rock steady and dub, Trojan Records logos’ endurance is a testament to the music and culture. 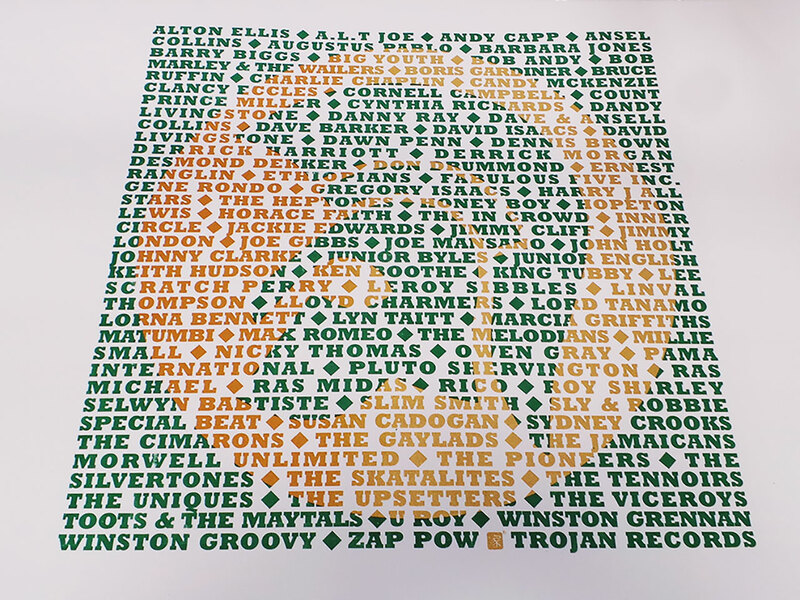 We haven’t included the complete list of all the artists that appeared under Trojan Records, but hope we’ve caught a few of everybody’s favourites. 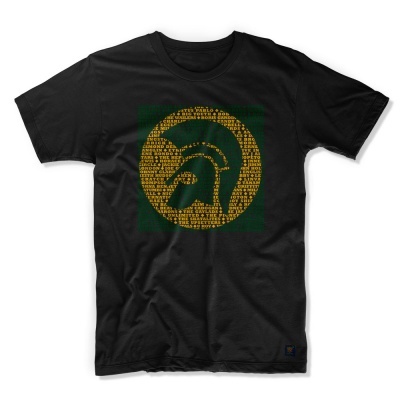 Growing up in a house full of reggae records has made the Trojan logo as recognisable to me as the Nike swoosh. 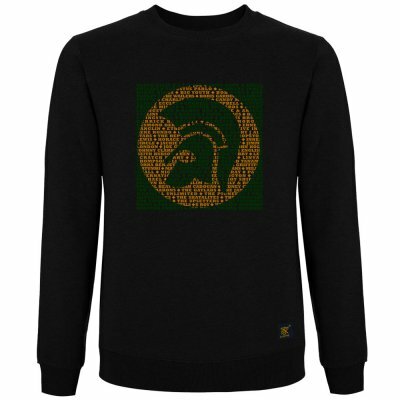 It’s no coincidence that the typeface Trojan Records uses is a robust and solid one. 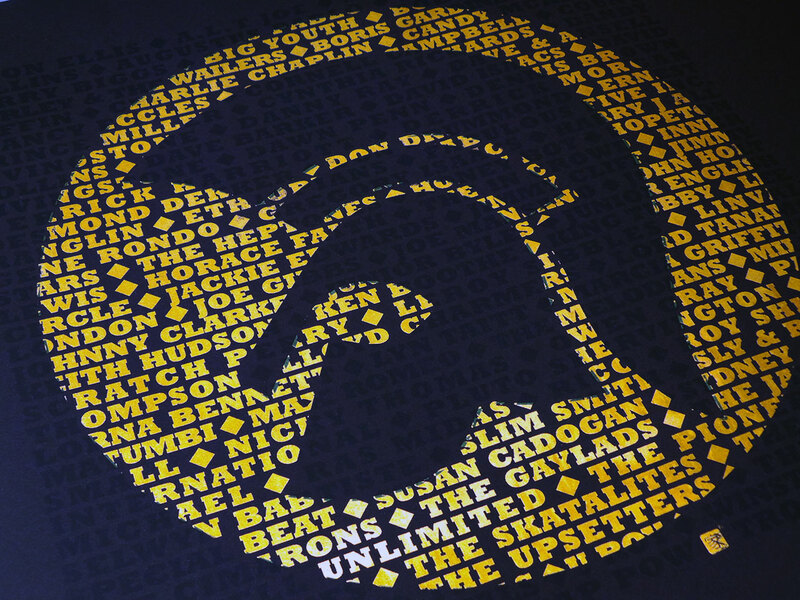 Like them, Rockwell Bold evokes strength and stability. 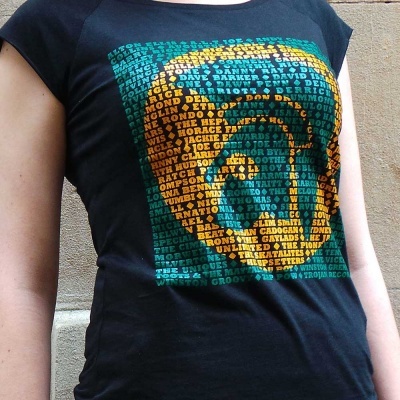 They chose well. 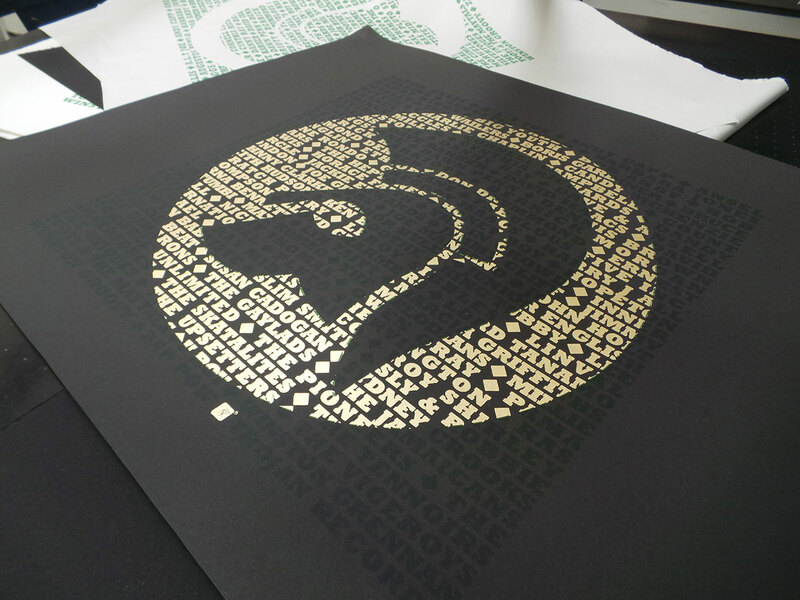 A limited edition set of artists proofs, screen printed in metallic gold and dark green and available on black and white fine art papers. 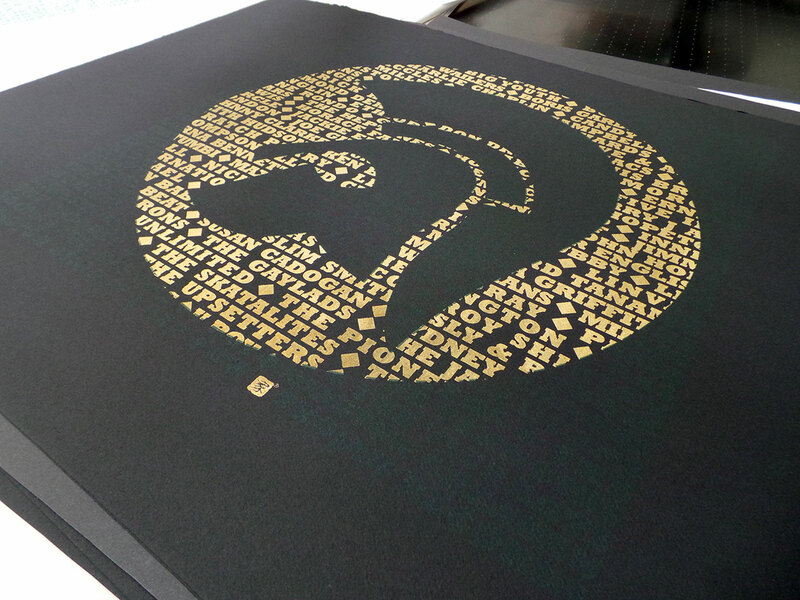 Each screen print is unique with different variations of the gold ink mix. 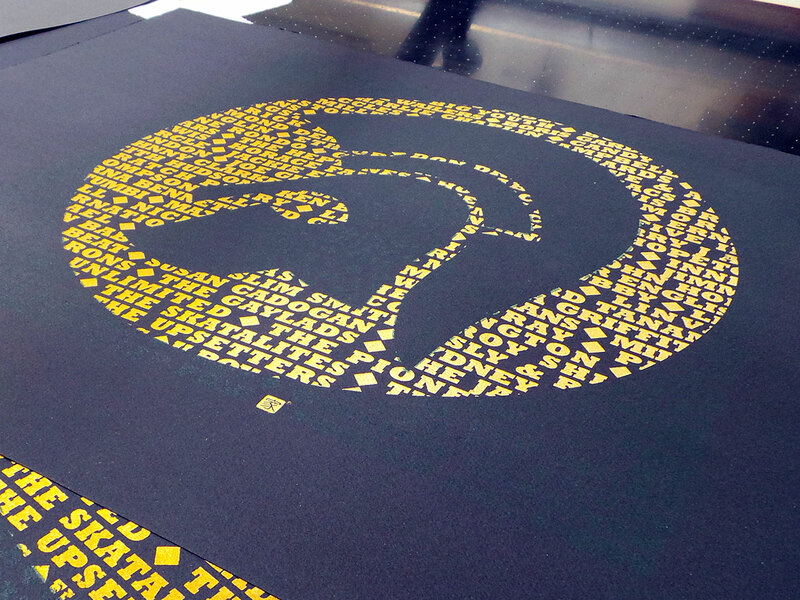 As with the previous Star Wars screen print, some have been printed with pure metallic gold and some have been mixed with a orange ink. 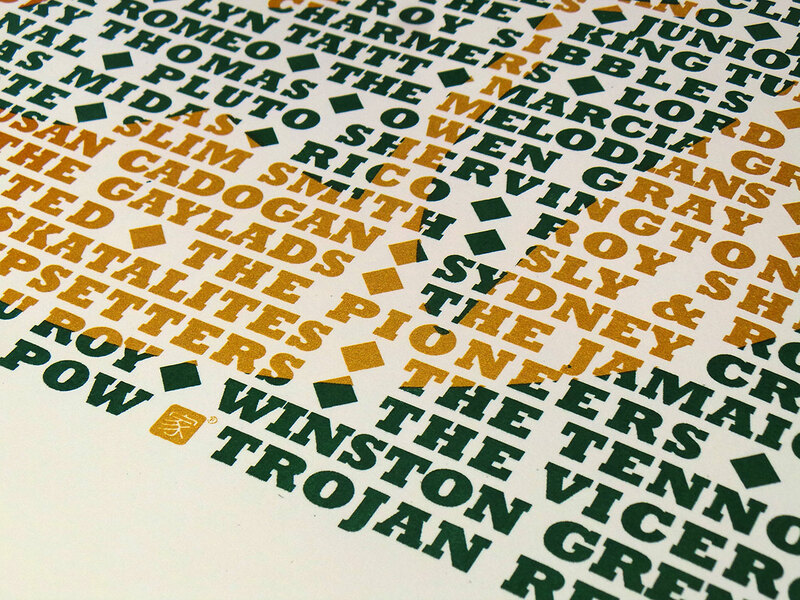 This is especially apparent on the white Somerset Satin papers. 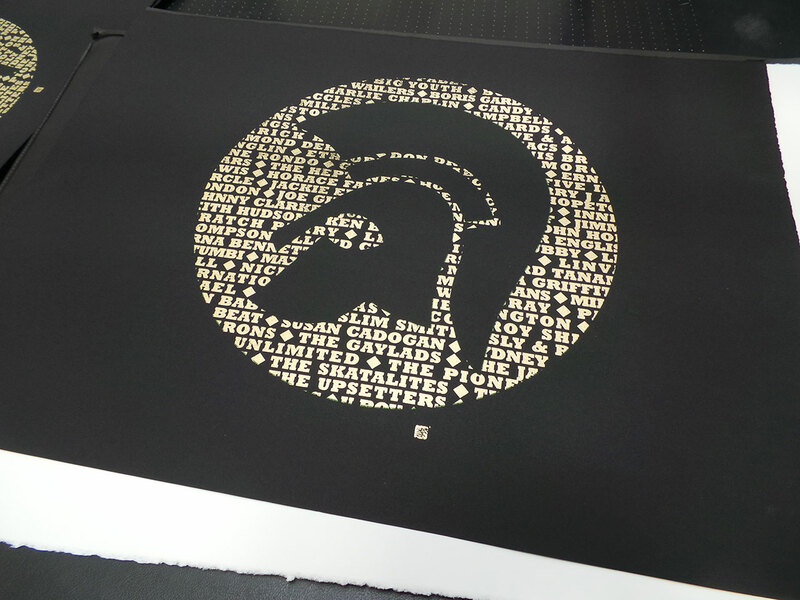 These prints have lot more orange than metallic gold.